Help!! 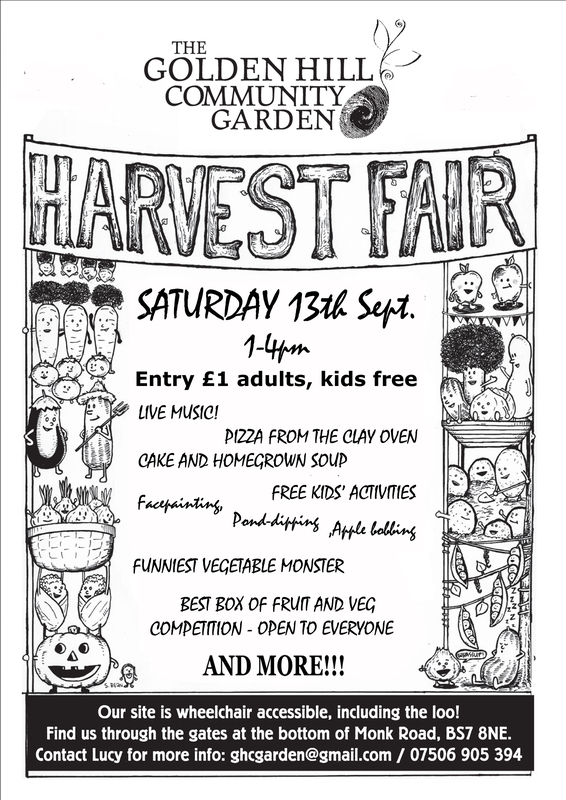 It’s a our fabulous Harvest Fair next Saturday but we’re short of volunteers to serve soup and cake and generally lend a hand for an hour!! AND enter a fruit and veg basket into our competition!! 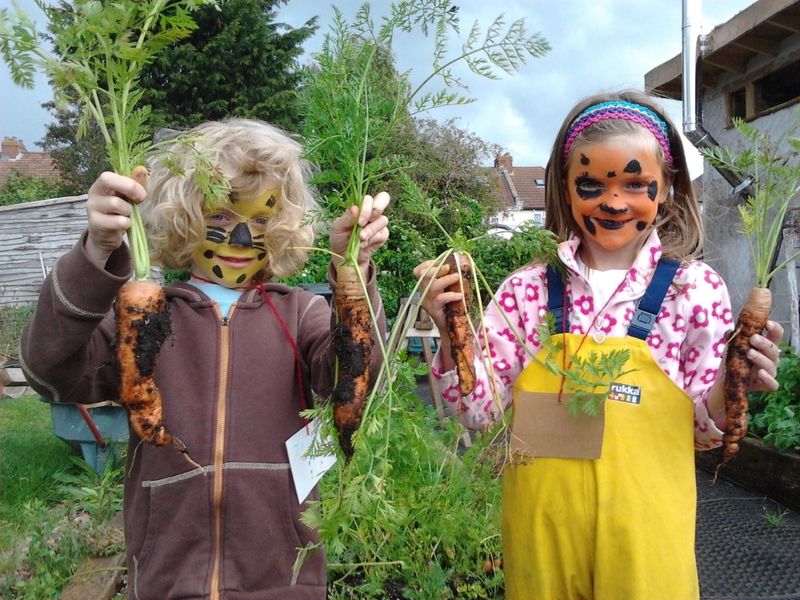 And come along and enjoy the day and also bring along any unloved, unslightly or unwanted veg so kids and the young at heart can make them into veg monsters and/or chutney! This entry was posted in News from the Garden on September 5, 2014 by GHCG. Feeling Autumnal? Must be time for the Harvest Fair! August in the garden has been a blur of delicious harvests and hoards of children dressed as animals munching marshmallows, sculpting clay unicorns and hiding in dens. 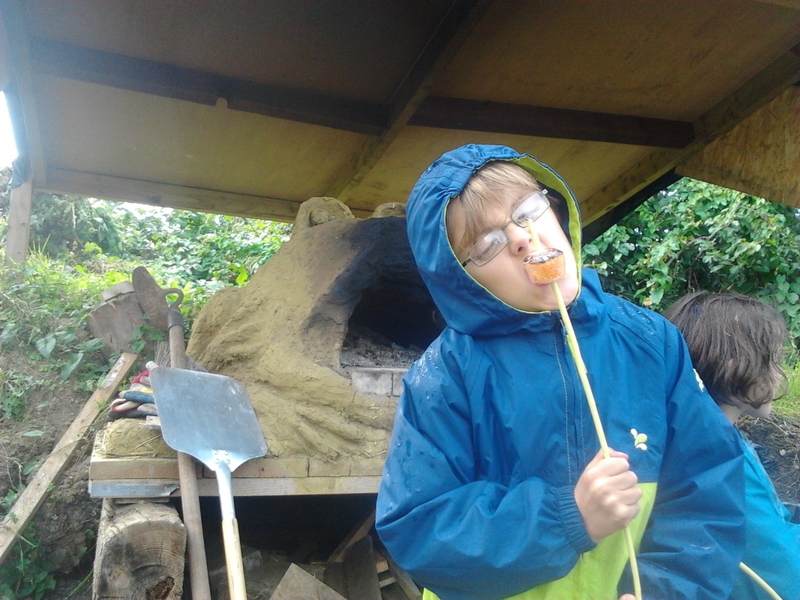 The Golden Adventure days were hilarious as usual and a good time had by all despite lots of weather and we’ll be doing another spooky themed one in October half term for halloween – get your names down quick! WE NEED VOLUNTEERS!!!! Please please please please please if you have a spare hour on the 13th or can bake a cake or biscuits please get in touch. This time the event is being organised by the fabulous volunteers on our events committee! So more than ever this relies on your lovely lot stepping up to help with pizza making, soup serving, making tea, helping with the kids activities etc. Can you print out the poster and put it up at work? Can you deliver some leaflets on your street? Do you know any fab musicians Everything which helps makes the day go smoothly and helps raise funds from the garden. Get in touch as soon as you can please! Your community garden needs you! 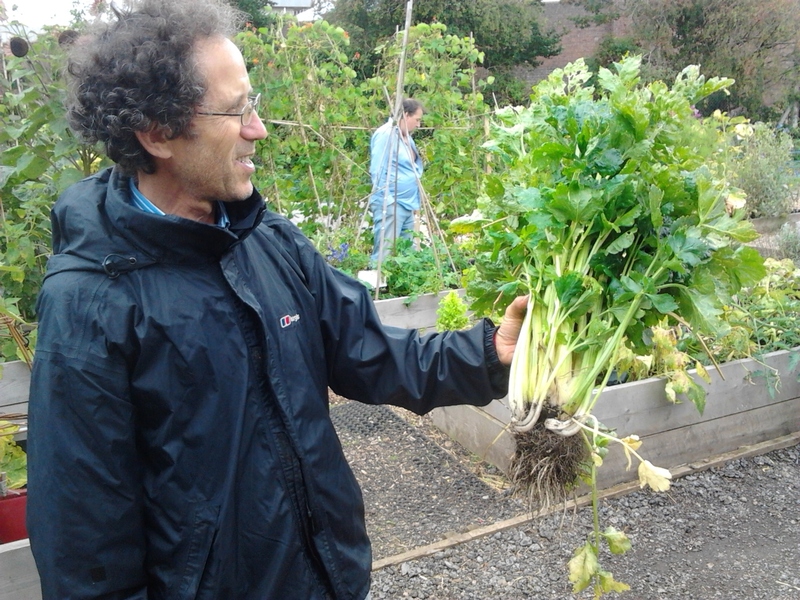 In other news the minutes from the last volunteer meeting are up on the website, the fabulous Bishopston Garden Socierty donated a whopping £587 from the proceeeds of their always wonderful Open Gardens Day back in June and we harvested our first celery – POW! It packs a punch! This entry was posted in News from the Garden on September 1, 2014 by GHCG.